Are you about to send off your kids or friends to college where they will live up the college experience as well as get a good education? If this is their first year of college then why not make the start of their college life a good one. Every college student needs money, food and time. 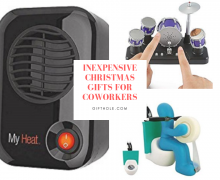 Since you can’t give them more time to sleep or study and you won’t be there to feed them, here are some of the next best things they will need. 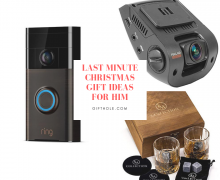 I’m sure time just flew by and seeing them leave just crept up so here are some last minute gift ideas for college students. Every student needs books because most, if not all, classes require buying the reading material before the classes actually start. Yes, they can go to their local bookstore because it’s right on campus but a lot of places like Amazon sell used copies for a lot cheaper. Help them out by getting them a gift card to an online bookstore and it’ll make it easier on them. I’m sure most people will probably just use their cell phones as their alarm but an actual clock will come in handy for their dorm room. On top of that, an alarm clock with a dock will give them speakers to play music. – Snack kit care package: Granola bars, microwave popcorn, hot chocolate mixes, candy, oatmeal, instant noodles, chips and mints or gum. This will help when students are hungry and in a rush. – Special treats care package: Cookies and any bakery goods that are wrapped up in bubble wrap for them to savior and possibly share with their new roommates on campus. – Drug Store Care Package: Toothpaste, soap, shampoo, contact lens solution, razor blades, lip balm. These are some of the basic items that everyone would need and why not help out a college student with all of that stuff. – Personal touch care package: Family photos and things that will help them not miss home as much. They’re probably not going to be back home until the holidays so this care package should include things that will make them smile and miss you when they’re gone. 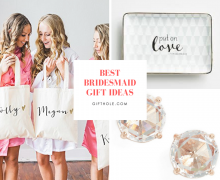 Gift cards may seem like a bail out gift but it will always be helpful especially if you get it for a big stores such as Target, Wal-Mart and Best Buys. They will probably need furniture and other things for their dorm room so this will make it easier for them to get. If I had to take a guess, they are already a big coffee or tea drinker but if they’re not, they will be once they have to get up for their 8am classes after cramming (or partying) from the previous night. Help them out so they can make their own in the morning and share with their roommates. More than likely they’re going to need to focus or at least drown out their roommate or noise from their dorm at some point. Noise canceling earbuds will help them with that. I’m sure college students will have way too many books to be reading for school but getting them a Kindle or an e-reader will help encourage reading more even on their own time. Nowadays everyone can videotape from their phones but that takes a lot of memory away from their apps and games. How about a GoPro and they can document their college memories on the go! You don’t know how much memory we all go through saving music, videos, pictures onto our computers. Why not get them a USB flash drive or external hard drive to help them with space? Plus, I’m sure they’ll need flash drives for saving and transferring their documents at some point! College students can never get enough of their music, and if not the music, the movies and television shows from Netflix. 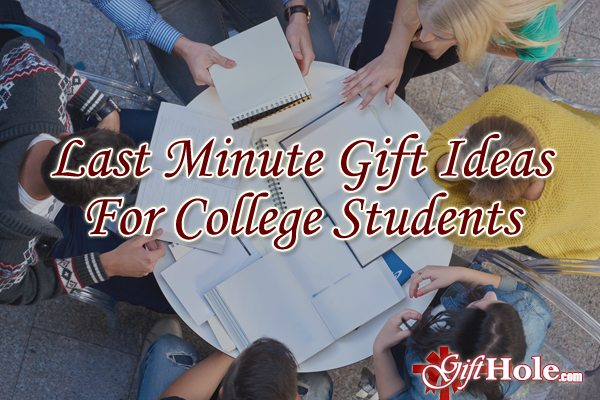 There are plenty of quick last minute gifts you can get any college student and whatever you get them, I’m sure they will appreciate either way.